BUCELINI -Russia obiter delineata et adunibrata. BUCELINI, G. - Russia obiter delineata et adunibrata. Russia obiter delineata et adunibrata. - BUCELINI, G.
Title : Russia obiter delineata et adunibrata.. 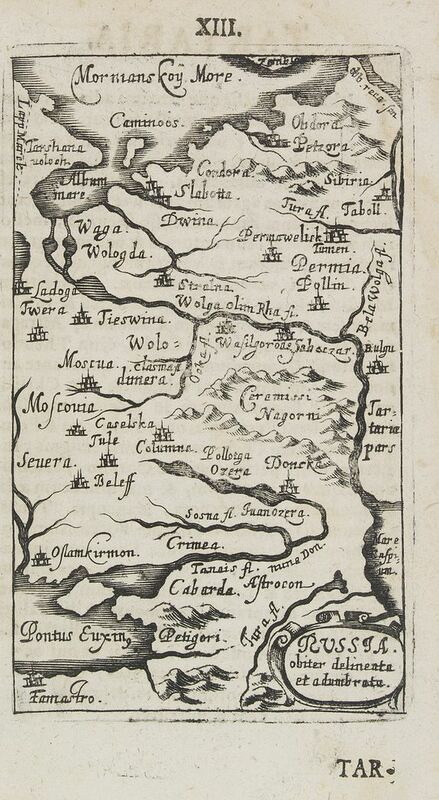 Description :Charming little map of Russia made by Gabriel Bucelin (1599-1681). Bucelin was a Swiss genealogist and an author of several books and a number of manuscript maps of Germany and Austria. Condition : Paper slightly age-toned. Description of Tartary in Latin text on verso.